VIRGINIA BEACH, VA – HRSD has earned the 2019 Governor's Environmental Excellence Award Gold Medal for its SWIFT Research Center, garnering recognition for "fundamentally changing and enhancing the way water is managed in Eastern Virginia." The SWIFT Research Center, located on the grounds of HRSD's Nansemond Treatment Plant in Suffolk, VA, began operations on May 15, 2018. Using advanced treatment processes, the Research Center has the capability of recharging dwindling groundwater resources in the Potomac Aquifer at a rate of one million gallons of drinking-water quality SWIFT Water per day. The research being conducted at the SWIFT Research Center will provide critical information to inform design and implementation of full scale SWIFT facilities. HRSD plans to begin construction on the first of five full-scale SWIFT facilities by 2020, ultimately increasing aquifer replenishment to 100 million gallons per day when all five facilities are online in 2030. About SWIFT: SWIFT is an innovative water treatment project designed to ensure a sustainable source of groundwater to meet current and future needs in the region. The project takes HRSD's already highly treated water that would otherwise be discharged into the Elizabeth, James or York rivers and puts it through additional rounds of advanced water treatment to produce drinking quality water. The SWIFT Water is then treated to match the existing groundwater chemistry and added to the Potomac Aquifer, the primary source of groundwater throughout eastern Virginia, ensuring a sustainable source of groundwater while addressing environmental challenges such as Chesapeake Bay restoration, sea level rise and saltwater intrusion. 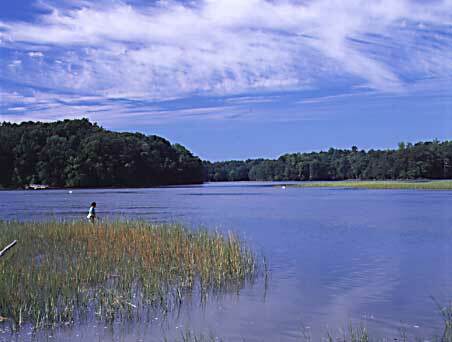 HRSD Vision: Future Generations will inherit clean waterways and be able to keep them clean.